Even though we buy used cars for cash in Honolulu, we still find most news or information related to the auto industry interesting – particularly when the vehicle is a bit odd, such as vehicles that drives themselves! Would you be afraid to ride in a car that’s apparently capable of taking you where you want to go on its own? Or do you feel these cars are designed to steal our freedom and make slaves of our population? Was the creation of the car an effort to make us all safer, so that we COULD actually text while on the way to work without having to worry about being distracted? Imagine a car that drives itself, leaving you and the kids free to play games, read a book, or work on that report that’s due at work in a few hours. Really? Look at the existing autonomous cars. Are you impressed with their good looks and sleek designs? Not likely. Instead of a car, some say they’re actually tracking devices that keep up with every move you make. Why? So advertisers can deliver targeted ads to you, what they do best. Do you have a will to live? Who could actually believe that an autonomous car won’t eventually crash? It’s inevitable. Most motorists in Hawaii like to be in control of their own driving. Isn’t it a little strange that a vehicle could make it unnecessary to think or make decisions? We, as humans, would definitely become lazy (or should we say lazier, given all of the autonomy in our society today) if we no longer had to actually steer our vehicles to our desired destination. 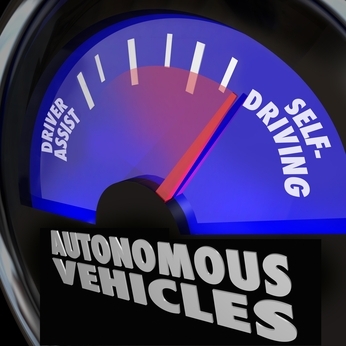 Hopefully autonomous cars aren’t something we will have to worry about any time soon. Do you have a used car you would like to sell for cash? At CarMark Hawaii, we are leading Honolulu used car buyers, and we give you cash that same day if all requirements are met, which are very few. Have a car, truck, van, or SUV that’s a 2007 or newer model? Give us a call or fill out our online appraisal form today.